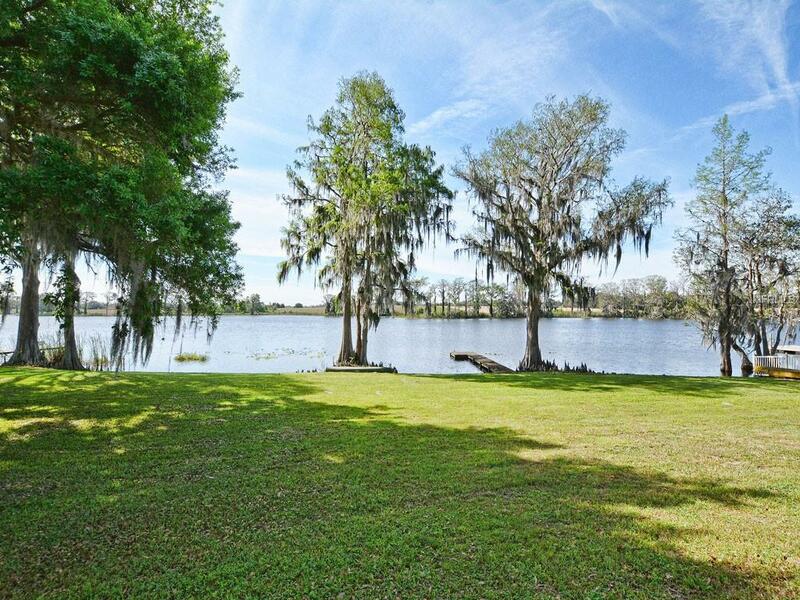 Beautiful custom waterfront estate includes 4/3/3 MAIN HOME & 2/2 GUEST COTTAGE (3585 total sq ft) on 1.60 acres with 166 of shoreline on Lake Victoria, just minutes to fabulous downtown Mt Dora! MAIN HOME includes water views from nearly every room- New A/C June 2018, volume/vaulted ceilings, architectural details throughout, wood floors in Family, Kitchen, Nook & 2 hallways. Open Kitchen to Nook, Family Room & waterfront with 42 wood cabinets, Corian counters, island w/ breakfast bar & butlers pantry. Family Room with grand angular windows and vaulted ceilings provide spectacular views, access to 1st paver patio. Living Room (water views & patio access) & Dining Room offer plenty of room to entertain or quiet, relaxation. Bedroom 2/Den with access to 2nd paver patio. Bedroom 3 & 4 also include large closets and ease to either Guest Bath (Bath 3 outside access). Master features bay window views to waterfront, tray ceiling, 2 walk-in closets & wonderful spa Bath. Double pane windows, security system, laundry tub,3 car garage @ 22x29, attic storage/cabinets & 6 fluorescent lights & 60' receiver tower. GUEST COTTAGE (2015) is dreamy with open plan, tranquil water views, French doors onto private patio, wood & stainless Kitchen, sunny Nook, wood/tile/carpeted floors, 7x10 Utility w/ sink & washer/dryer, double pane windows. 2 Guest Rooms with ensuite Bath; handicap "roll-in tile showers, grab bars and raised vanities. One of a kind estate ready for you, extended family, home office, etc., call today! Additional Water Information Sea Planes Jet Skies.